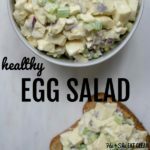 This egg salad is easy to make, tastes delicious, and is a healthier version of the classic egg salad. 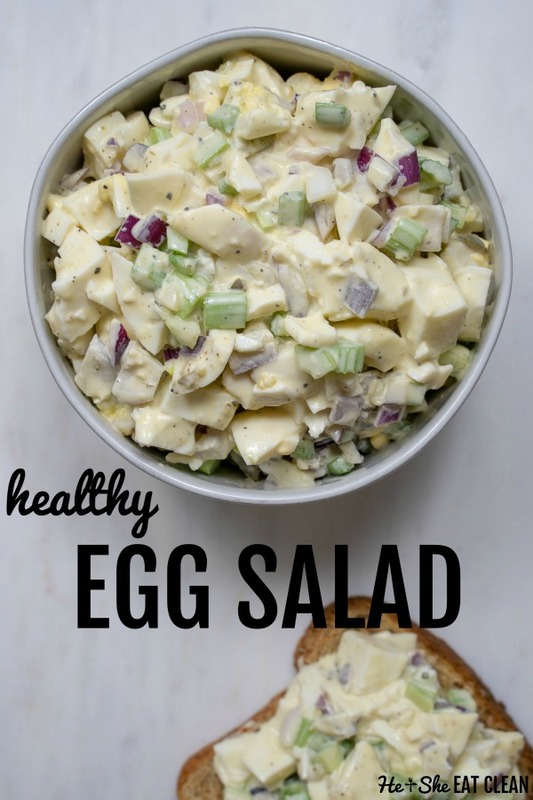 This healthy egg salad will wow everyone in your family, even those hard to please “I don’t like healthy food” people. 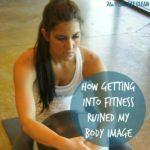 We all have some of those, right?! You don’t even need to tell them this is a “lightened up” version. This recipe can be made during meal prep and will provide a healthy lunch or dinner for the entire family. 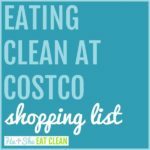 It really does taste great leftover (I think it tastes even better the next day)! It’s also the perfect main or side dish to take to your next cookout! Eat it plain, on a piece of toasted sprouted bread (we love Ezekiel Sprouted Bread and Angelic Sprouted Bread), in a wrap, or top a rice cake with a few spoonfuls. Replace traditional mayonnaise with a combination of Greek yogurt and Avocado Mayo – doing this will save you many calories and grams of fat! 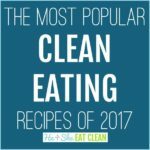 We use Greek yogurt in our very popular Clean Eating Chicken Salad recipe without sacrificing any flavor and the same goes for this Clean Eating Egg Salad recipe. Our favorite Avocado Mayo (available at our local Costco and on Amazon) is made from Avocado Oil and Cafe-Free, Organic eggs. 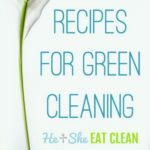 Use a combination of whole eggs and egg whites. You can choose how many of each you use, for this recipe we used 5 whole eggs and 7 egg whites for a total of 12 eggs.